Consulting on computerization for enterprises and universities in the Global South towards the implementation of suitable digital innovations that allow them to optimize their processes and to generate a new value. The accompaniment of companies from the Global North who wish to sell in the Global South. We help them to adapt their products and services to local customs which we are familiar with. The driving force behind the QuickDo concept was the belief that digital technology brings about change and creates new opportunities of development and economic growth in the Global South. QuickDo’s founder, CEO Dominique Buende, wished to address identified needs and demands, such as the increasing interest for books, through the implementation of digital innovation. Winner of the “Orange African Social Venture Prize 2013”, QuickDo-BookBox gives publishers the opportunity to transfer their content onto a server which converts the content and then transfers the content via internet onto distribution devices in the Global South. People can connect themselves to the distribution devices and download the content onto the E-Book readers, QuickDo-Readers. QuickDo-BookBox adapts to the users by giving access to connected people as well as people without internet connection. The service will create a new local market where local writers can sell their work; QuickDo thereby ensures the dissemination of local authors and strengthens the South/South and North/South cooperation in literature but also science. Strength of this technology, QuickDo is now working with community partners to launch three programs over five years; our program “Read and Dream” gives access to people who are prevented from accessing culture, like people from deprived areas, impaired people in centers for disabilities, prisoners and hospitalized people. The “Global School” program is a personalized training program of “globalized knowledge” which includes giving primary school children an e-Reader containing all the academic and extracurricular textbooks from first class primary school to the last year of high school and by consequence developing a unique school through the access to other teaching models. And finally, “The Home of Digital Culture in Africa” (MCNA), a program that creates a unique place gathering all the necessary components for the creation, dissemination, promotion and distribution of culture via digital technology, always with the ambition to provide access to a large public. Dominique BUENDE: CEO, CTO – Franco-Cameroonian – 31 years old – 8 years of professional experience with an active network related to research and innovation on three continents: Africa, Europe and North-America. Computer engineer from SUPINFO, he has worked several years in Central Africa and Western Africa. 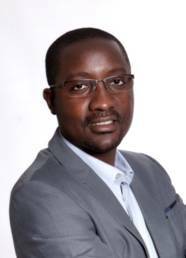 Since 2008, he is a member of EuroAfrica-ICT FP7 which is a laboratory of ideas for ICT co-development North/South founded by the European Union. QuickDo-BookBox has in some months convinced solid partners and seduced its first prospects in Cameroon, who see through this offer a means to rapidly acquire active media kits at a low price. 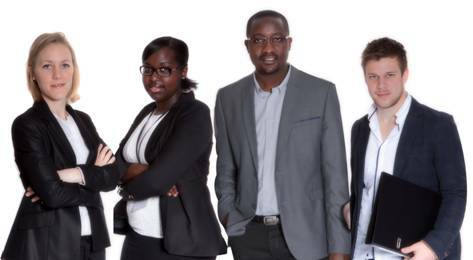 The team is young, motivated, of international culture, defending strong values and a responsible approach. QuickDo wants to quickly develop its offer in other countries in West, East and North Africa. We aim to become the reference for distribution of digital content in Africa. Several paths of financing are being investigated with as the next deadline the impending formalization of partnerships with the manufactures. In order to continue to develop and to face present difficulties, QuickDo starts a short term approach of Crowdfunding in order to raise 200 000€ from individual investors concerned by North/South related questions and sensitive to the social impact of the return on their investments. Books love digital technology; we believe in it and wish with QuickDo-BookBox to seize this opportunity in order to develop new markets and to make books available to everybody. Un rapport de la Banque mondiale intitulé Doing Business a récemment salué la performance de pays tels que le Rwanda ou la Côte d’Ivoire en matière d’entreprenariat . La planète économique voit en l’Afrique l’avenir du business. Avec nous pour en parler: Véronique Gamard, Fondatrice de Ibaba Rwanda, Dominique Buende, Fondateur de Quickdo, et Pierre-Antoine Balu, consultant du cabinet PWC, spécialiste du business en Afrique.